TORONTO, April 18, 2017 – According to the Royal LePage House Price Survey released today, Canada’s residential real estate market saw substantial price growth in the first quarter of 2017. While the majority of Canadian housing markets posted modest gains, price appreciation across much of Ontario significantly outpaced the rest of the country, with similar market dynamics to those that have driven housing activity in the Greater Toronto Area (GTA) beginning to impact the entire “Golden Horseshoe” region of south-central Ontario, and as far away as Windsor and London in southwestern Ontario. Meanwhile, the pace of year-over-year home price appreciation in Greater Vancouver was noticeably lower than the historic highs witnessed in 2016, and for the first time since 2013, home values for the region as a whole declined on a quarterly basis. 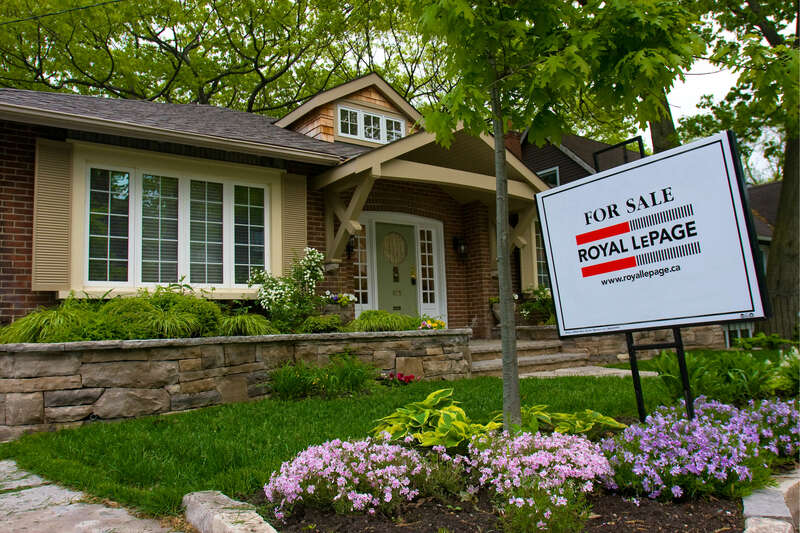 The Royal LePage National House Price Composite, compiled from proprietary property data in 53 of the nation’s largest real estate markets, showed that the price of a home in Canada increased 12.6 per cent year-over-year to $574,575 in the first quarter. The price of a two-storey home rose 13.9 per cent year-over-year to $681,728, and the price of a bungalow increased 10.9 per cent to $490,018. During the same period, the price of a condominium increased 8.9 per cent to $373,768. A price reset is underway in British Columbia’s Lower Mainland, where eroding affordability coupled with recent public policy intervention abruptly slowed activity. The number of homes trading hands has fallen steeply, and home values have begun to adjust downward as demand falls. Meanwhile, price appreciation in the Greater Toronto Area reached new heights in the first quarter, rising by an unprecedented 20 per cent year-over-year across all housing types studied. As Toronto home prices continued to significantly rise over the past year, so too did values in suburban regions outside of the city’s core, as more and more homebuyers looked farther afield for affordable housing. Elsewhere in Ontario, expanding economies and improving employment have lifted what were listless housing markets into the strong growth category, particularly those within a two-hour drive radius of the province’s capital. Significant home price appreciation has also extended much further into other southwestern Ontario markets like London and Windsor, due to strong demand, supportive economic factors and the quest for affordability. In fact, the torrid pace of home price appreciation in much of Ontario contributed almost half of the national aggregate home price increase in the first quarter, with the rest of Canada appreciating by a healthy, but much lower, 6.4 per cent year-over-year when excluding all regions within Ontario. For this reason, dialogue concerning the health of the GTA housing market has moved to the forefront of real estate commentary in recent weeks, amid growing apprehension over the region’s steep price gains and declining housing affordability – prompting some analysts to forecast major downward price adjustments, while others call for public policy responses. Elsewhere in the country, housing markets are in balance. Fairly priced homes are selling within a reasonable amount of time. Bidding wars are rare and buyers have an opportunity to make conditional offers. On the other side of the country, continued strong economic improvement is also underway in Quebec, against the backdrop of a provincial government surplus and a refreshed focus on attracting business investment in the region. “Quebec has emerged as an economic shining star in Canada, showcasing the lowest unemployment rates in over 40 years and a promising year ahead for GDP growth. As a result, Montreal’s residential real estate market is seeing strong house price vitality that is likely to grow over the coming year. The region is now one of the healthiest real estate markets in the country, currently sitting at mid-single-digit appreciation – which is well within the historical range that we would hope to see in the GTA and Lower Mainland of British Columbia,” concluded Soper. The Canadian economy was boosted by strong export performance to an expanding United States market, infrastructure spending at home, and stabilizing global commodity prices. The country’s unemployment rate dropped to 6.7 per cent in March, close to its lowest level in two years. Following many years of economic acceleration, most forecasters expect British Columbia’s growth to slow in 2017 as the housing sector decelerates to a more sustainable pace. In the first quarter of 2017, the aggregate price of a home in Greater Vancouver increased 12.3 per cent year-over-year to $1,179,482, compared to a 25.6 year-over-year increase in the fourth quarter of 2016. Meanwhile, the regions of Langley, North Vancouver, Surrey and Richmond saw first quarter increases of 21.2 per cent, 18.9 per cent, 15.4 per cent and 13.4 per cent, to $794,213, $1,387,141, $763,806 and $1,069,218, respectively. During the same period, the City of Vancouver also saw a reduced rate of year-over-year home price appreciation compared to the previous quarter, with an increase of 10.1 per cent year-over-year to an aggregate price of $1,412,527. Although the province may be coming off a high, British Columbia will likely remain an economic growth leader in Canada. Earlier this year, a major Canadian financial institution reported that it expects British Columbia to tie Ontario with a growth rate of 2.3 per cent for the year, exceeding the national average. However, with the real estate market going into a slightly lower gear, other industries are projected to drive growth in the Vancouver region in 2017, with the Conference Board of Canada predicting that the retail sector will overtake housing as the highest growth industry in the city. With the recent stabilization of oil prices, Alberta is projected to see an improved economic picture in 2017 when compared to the prior year. A wave of deals have already been announced in the oil and gas sector in recent weeks. As a result of the apparent upswing from the cyclical bottom, Alberta will likely be the fastest growing provincial economy this year when compared to last, with the Conference Board of Canada forecasting the province to expand by 2.8 per cent in 2017. 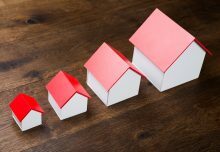 This positive momentum has proved supportive of the residential housing market, with the aggregate price of a home in Calgary rising 0.6 per cent year-over-year to $461,635 in the first quarter, while the price of a home in Edmonton followed a similar trend, rising 0.3 per cent to $381,733. Following two years of recessionary trends amidst the energy sector downturn, Saskatchewan is expected to resume growth in 2017. Saskatchewan’s agricultural sector is also expected to have a better year compared to 2016, while the potash sector may see continued declines. With the regional improvement in economic fortunes forecasted for later this year, the first quarter of 2017 saw modest home price gains in the province’s largest cities, with Regina posting an increase of 1.8 per cent year-over-year to an aggregate price of $335,135. During the same period, the aggregate price of a home in Saskatoon remained relatively flat, decreasing 0.5 per cent to $385,980. Manitoba remains in a good position for economic expansion, boasting strong ties to the U.S. economy in conjunction with the general economic improvement in other western provinces. Although the mining sector in the province is still under pressure, other sectors including manufacturing and transportation are expected to shield the province from its impact. 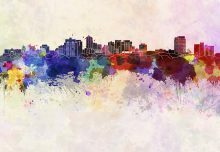 In the first quarter of 2017, the aggregate price of a home in Winnipeg remained relatively flat, posting a slight dip of 0.9 per cent year-over-year to $274,844. According to major forecasters, Ontario is expected to lead the country in provincial GDP growth in the coming year with British Columbia. This will be the first time that the province has taken the top spot since the year 2000. The province’s labour market will be a source of strength, with recent economic expansion having led to increased hiring in the province. As of March, employment in Ontario was up 1.2 per cent, with the majority of increases seen in full-time work. At 6.4 per cent, the province’s unemployment rate in March was close to a two-year low. U.S. economic strength and robust financial markets, trade, manufacturing and retail, in conjunction with continuously improving employment prospects, continue to reinforce a steep upward trajectory in home price appreciation in the province, particularly in southwestern Ontario. In the first quarter, the aggregate price of a home in the Greater Toronto Area increased 20.0 per cent to $759,241, while the price of a home in the City of Toronto rose 17.0 per cent to $763,875. Home prices also increased significantly in the surrounding GTA regions, with suburbs such as Richmond Hill, Oshawa, Vaughan, Markham and Oakville posting increases of 31.5 per cent, 28.2 per cent, 25.8 per cent, 23.2 per cent and 23.1 per cent to $1,209,741, $500,105, $985,534, $970,216 and $987,001, respectively. During the same period, other parts of Southwestern Ontario saw mentionable home price increases. Hamilton saw an aggregate home price increase of 17.4 per cent year-over-year to $457,452, while Niagara/St. Catharines, Kitchener/Waterloo/Cambridge and London home prices rose 15.7 per cent, 14.4 per cent and 12.4 per cent to $326,545, $400,902 and 314,777, respectively. Following several years of sluggishness, the Quebec economy has turned a corner and emerged as a Canadian leader. Within the first quarter, the Quebec unemployment rate hit generational lows, with the January rate falling to 6.2 per cent, the lowest seen since the outset of Statistics Canada’s records in 1976. In the 12 months ending in March 2017, employment rose by 97,000 (2.4 per cent) with an unemployment rate of 6.4 per cent, down 1.1 percentage points from a year earlier. Unlike many other provinces, the Quebec government is in a strong fiscal position, recently announcing a third consecutive budgetary surplus, allowing it to further boost the provincial economy through promised spending in large-scale public transit projects, health and education. An upswing in business investment is also underway in the region, particularly in the cloud computing and artificial intelligence sectors, where the city has attracted companies like Google, who recently selected Montreal to host a new data centre and tagged the market as its first Canadian Google Cloud Region. In effort to retain its tech savvy talent and advance research, the Federal government has also announced an investment of $40 million dollars over five years for the implementation of an all-new artificial intelligence institute. The province’s economic performance is being reflected in its residential housing market which has displayed healthy home appreciation in recent months. In the first quarter, the aggregate price of a home in the Greater Montreal Area rose 4.9 per cent to $367,702. Montreal West witnessed the highest year-over-year appreciation, with the price of a home rising 6.8 per cent to $419,404, followed by Montreal Centre which saw an increase of 6.4 per cent to $449,883. Moderate to healthy home price gains were also seen in other areas of the province. Trois-Rivières, Sherbrooke and Quebec City posted gains of 6.1 per cent, 5.1 per cent and 2.7 per cent to $208,154, $254,147 and $299,245, respectively. In Atlantic Canada, Newfoundland and Labrador remains in a recession in light of the downturn in commodity prices. With little to offset the decline in resource-based activity, economic indicators from the unemployment rate through to retail sales reflect an economy in decline. In the first quarter, the aggregate price of a home in St. John’s decreased 1.9 per cent year-over-year to $328,485. Against the backdrop of a stable or improving economy in the rest of the Atlantic region, the residential real estate market showed varying trends across major cities in the first quarter. In New Brunswick, the aggregate price of a home in Saint John and Fredericton showed strong increases of 8.0 per cent to $218,604 and 6.4 per cent to $259,040, respectively. During the same period, the price of a home in Moncton remained relatively flat, declining 0.6 per cent year-over-year to $188,797. In Nova Scotia, Halifax saw an aggregate home price increase of 3.6 per cent to $306,944 and in Prince Edward Island, Charlottetown saw a year-over-year home price decline of 2.9 per cent to $217,333, as sales activity slowed in the winter months.